By the time you see this in the United States, I will have had a full week to explore this amazing area, and the wildlife that calls this home. The schedule is a bit daunting, as we are up before 5 AM to get to the gate for the 6AM opening. We are on the go until usually around 1:30 give or take a herd of zebras blocking the road. 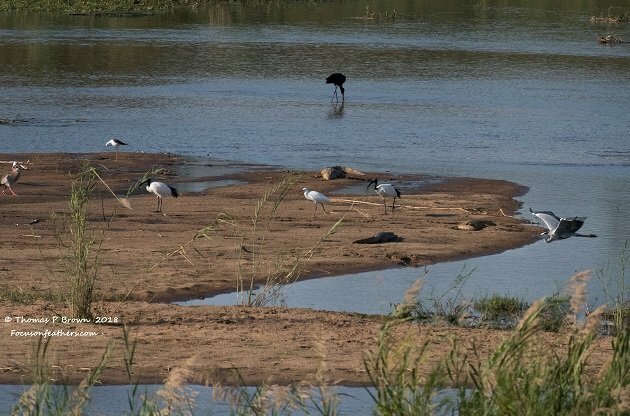 Lunch has been at the Lower Sabie camp, where there is a pretty incredible view of the Sabie River, and the many sand bars that form in front of the restaurant. Crocodiles, Cape Buffalo and Hippos are plentiful. 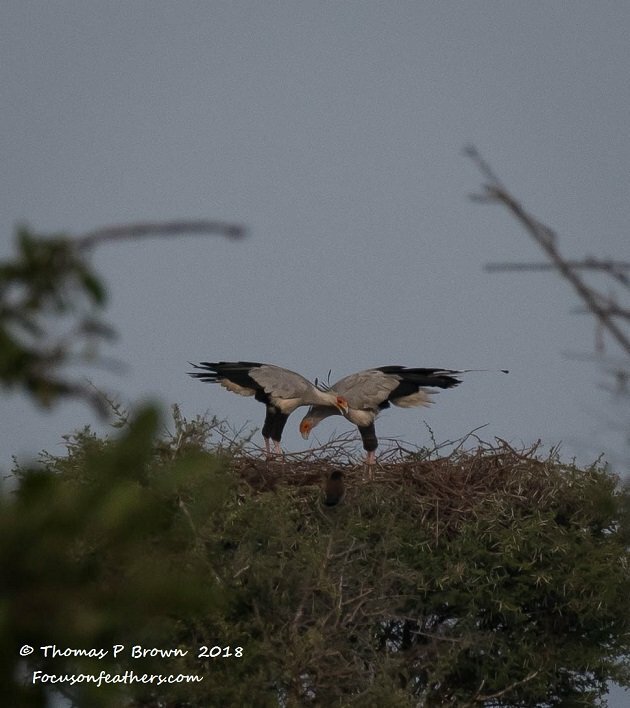 Saddle-billed Storks, Yellow-billed Storks, Woolly Storks, Sacred Ibis, Gray Herons, Reed Cormorants, Three-banded Plovers, White-crowned Lapwings, Blacksmith Lapwings, Egyptian Geese, White Faced Ducks and African Palm Swifts have been there every day. Then it is back on the road, until dark, and the drive back to the house. Download, sort and organize the pictures from the day, dinner and do this all over again the next day. This usually means a 10-10:30 bedtime, so the nights can be pretty short, especially last night when we had an incredible lightning storm. Three solid hours of lightning, coming at the rate of a down strike, or fan lightening about every 3 seconds. North of us, where the storm was at its worst, near the Skukuza camp, the hail formed was the size of golf balls and was breaking out car windshields. That would have tested out rental insurance policy! NOTE: A quick update on this story, we have moved into the park for a few days. We are spending two nights at Lower Sabie Camp, and then one night at Skukuza, before heading back to the house Marloth Park. At this point I am at 140 new birds that I have photographed, plus or minus a couple. I have had so little internet that I am way behind on my eBird.org reports, which is the format that I am using to track my birds. At this point, I am just going to show you a few of the birds that we have found. It has been hard to pick which to show you, but here are a few fun shots! 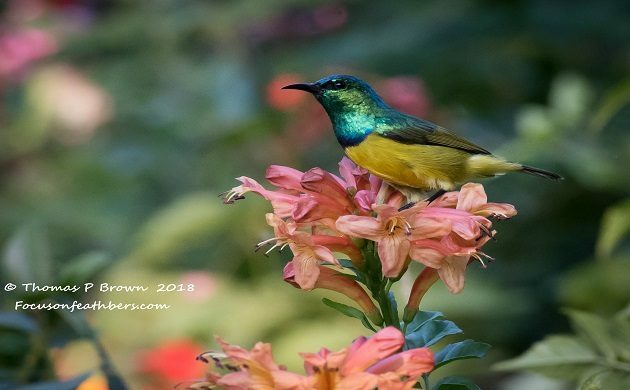 Starting with the Collared Sunbird on the top of this story. 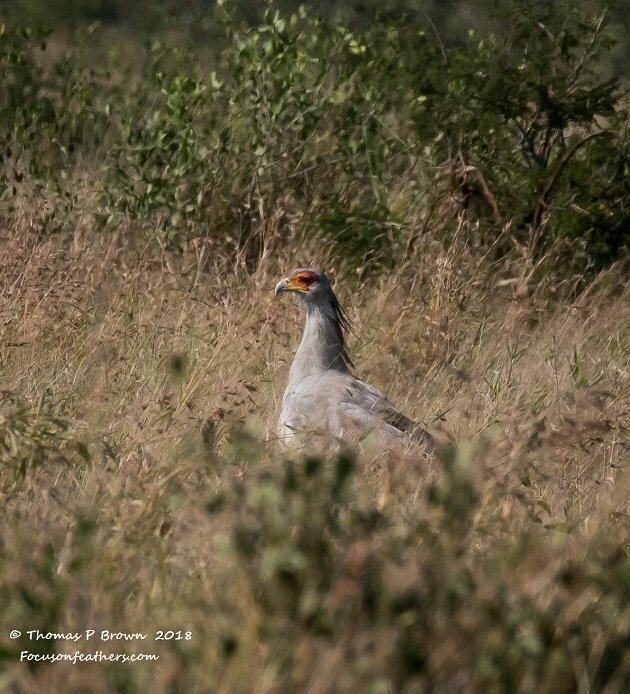 There is no question that the Secretarybird has been very high on my list of birds to find. I got this shot, from over 200 meters. Then the next day, we found this pair on their nest, going thru an elaborate mating routine. 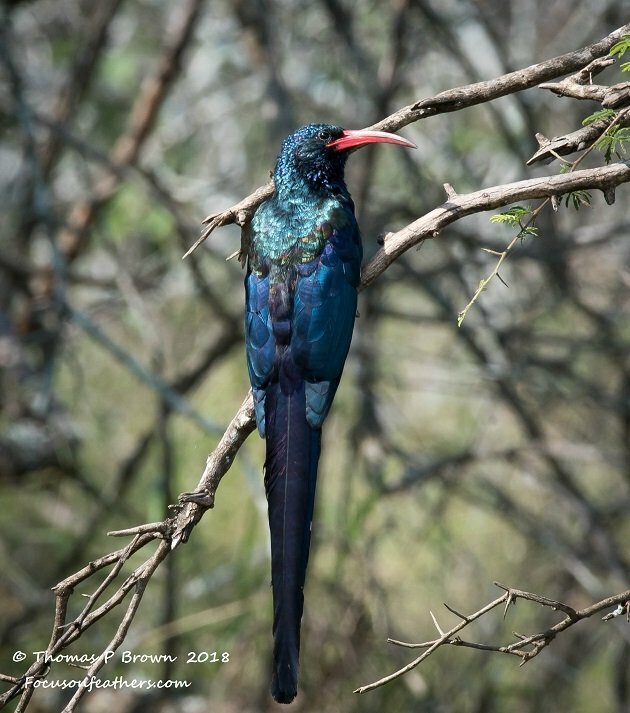 The Green Wood Hoopoe is certainly stunning. 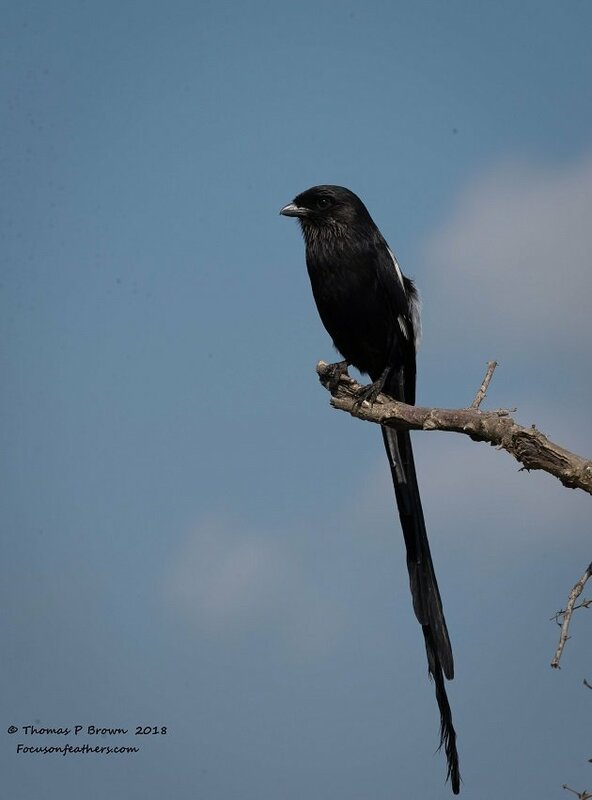 Another in the “Long Tailed” category, this is the Magpie Shrike. So far, I have only found one of the Common Scimitarbills, but they are so cool. 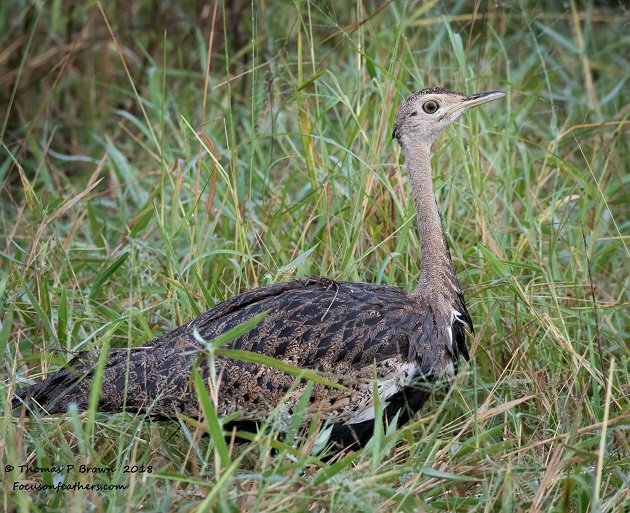 This is the Red-crested Korhaan that we found in the wet dewy grass. 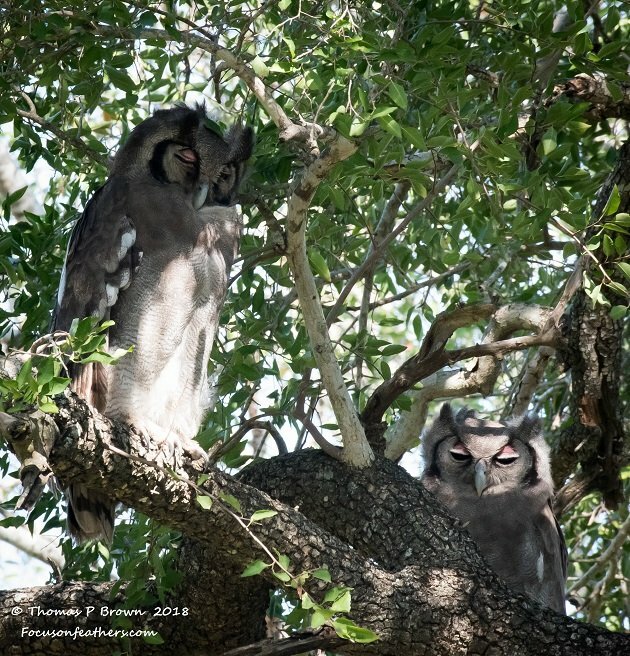 I have managed to find two owls, the first was this pair of Verreaux’s Eagle-owls. 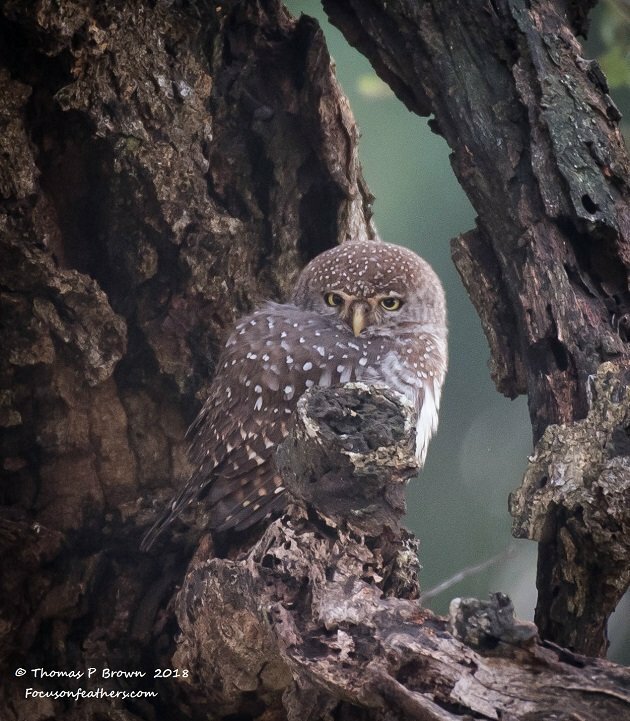 Then second was the tiny little Pearl-spotted Owlet. 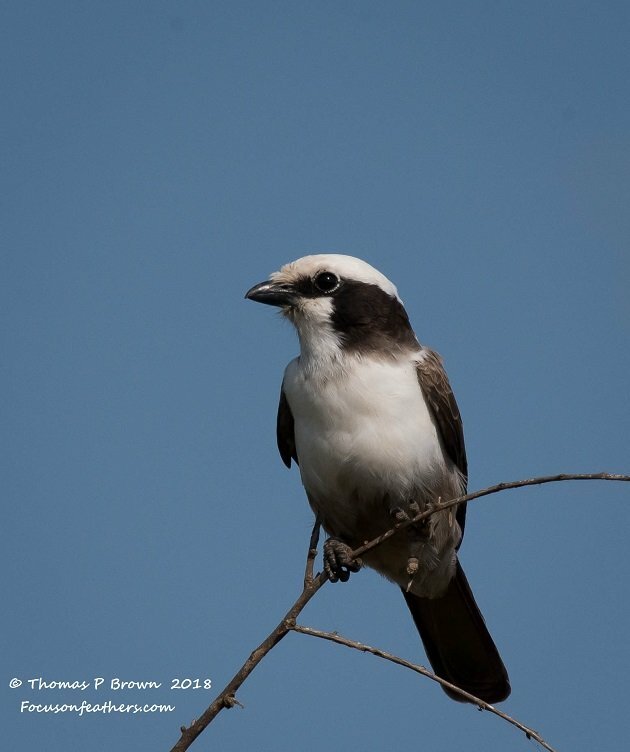 This is the Southern White-crowned Shrike. 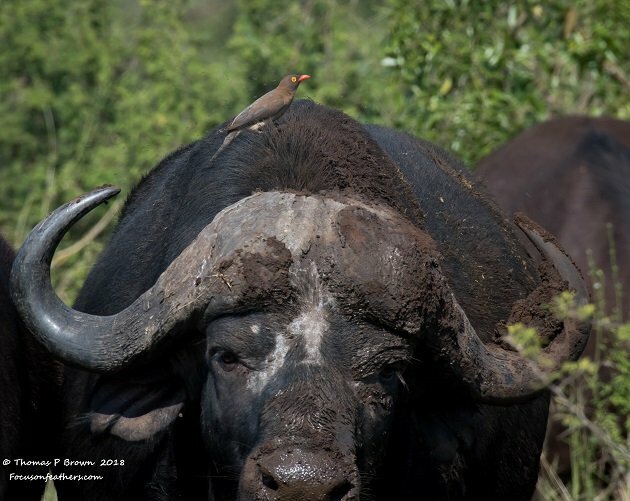 When I took this photo, it was all about the Red-billed Oxpecker….. 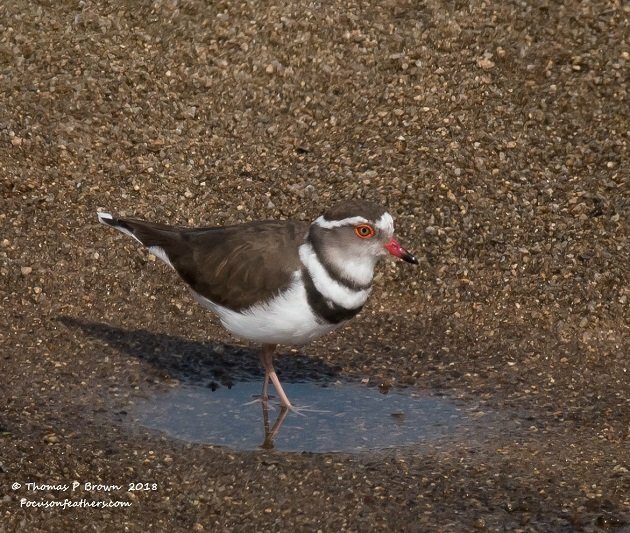 There are not too many shorebirds here this time of year, but I have found a few of these Three-banded Plovers. 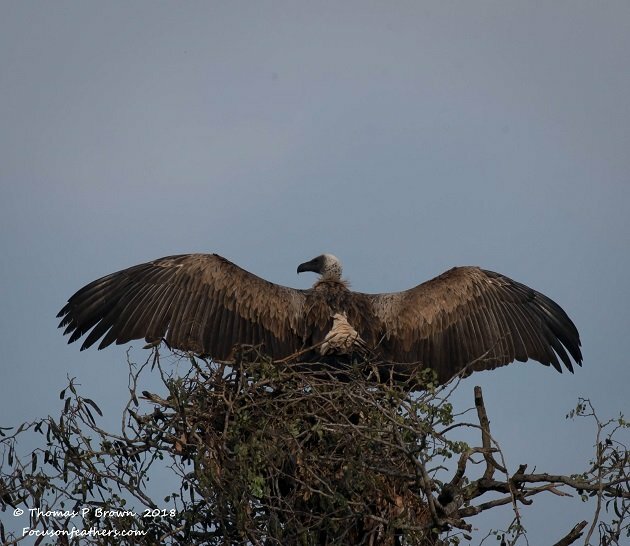 I have found quite a few vultures, both the Cape Vulture, as well at this White-backed Vulture. This fun group shot has quite a variety of birds. The Gray Heron flying in from the right, then there is the African Sacred Ibis, The Little Egret, another Sacred Ibis, then a Black-winged Stilt, and at the far left is an Egyptian Goose. At the top, in the water is an African Open-bill. All being carefully watched by three Crocodiles. 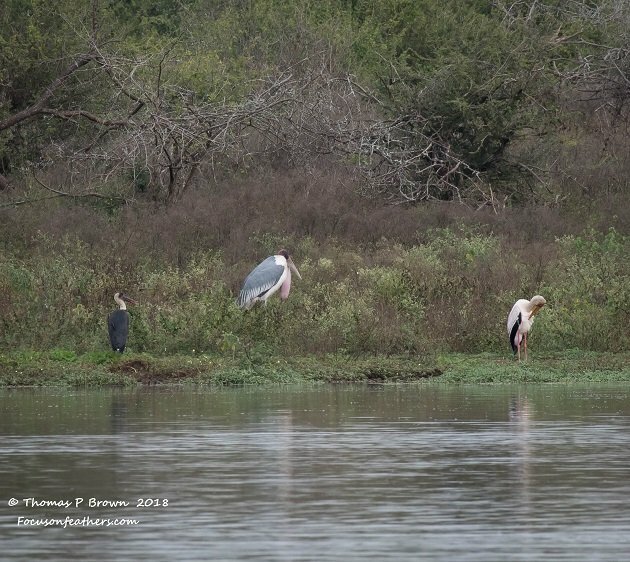 This next group shot has from left to right, Wooly Stork, a Malibu Stork, and then the Yellow-billed Stork. 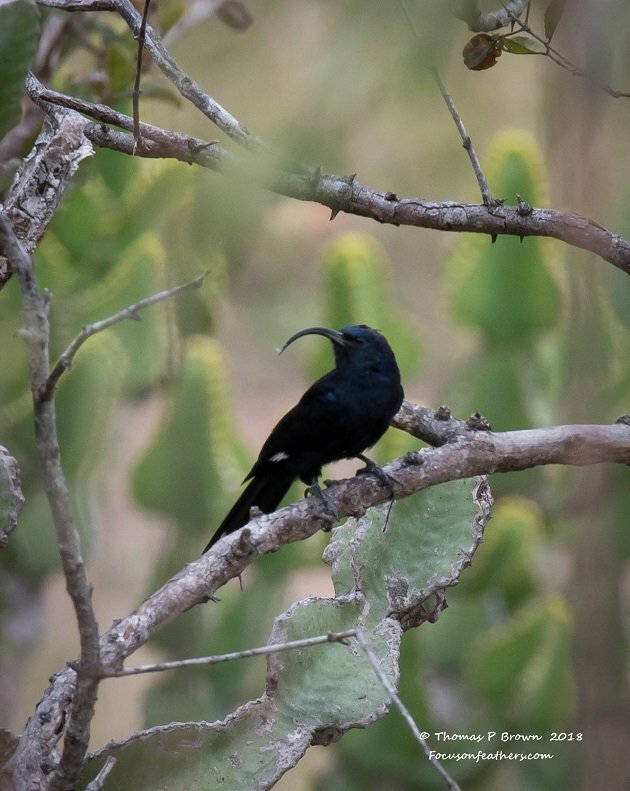 When I set to take this picture, I was trying to get a good shot of the Hamerkop at the bottom of the picture. 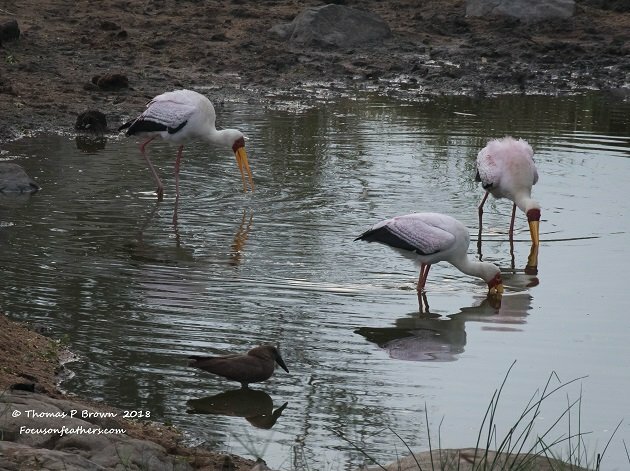 Then these three Yellow-billed Storks flew in and photo-bombed my Hamerkop. 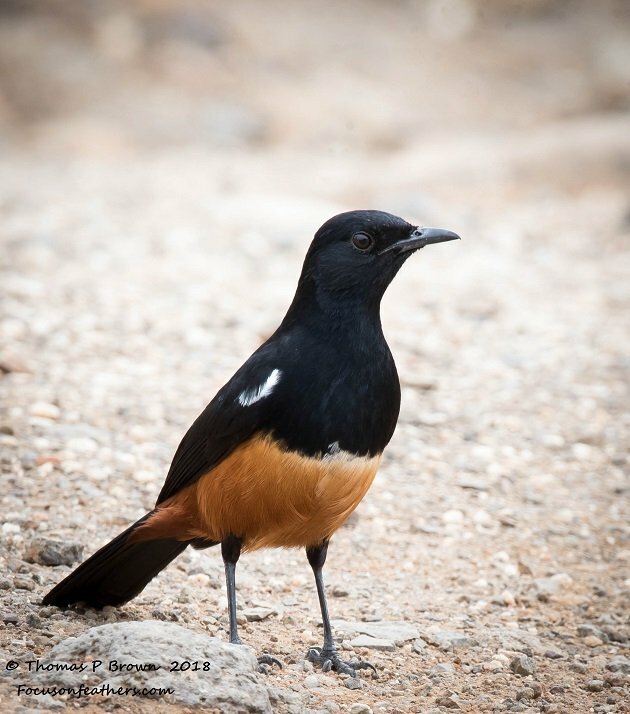 This Mocking Cliff Chat was found at a rest stop on the fare south eastern side of the park. 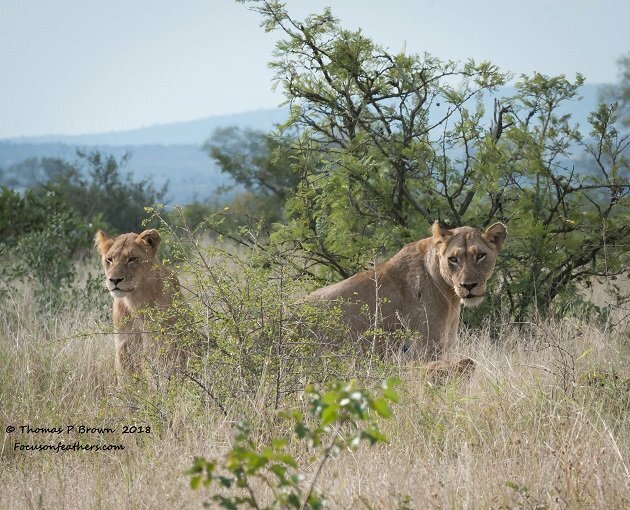 Yesterday morning, we were the first on scene when this pride of 12 Lions was spotted by my wife. They were laying down to nap after a long day of doing what ever Lions do at night. This picture was taken from about 60 meters. I will try to get everything tallied as far as bird species goes tonight. I should be at about 140 African species both counted and photographed! See you next week for the details of the Skukuza Camp area.